One of its kind ‘Big 72 Hrs’ Puravankara Ltd’s. flagship three day home expo has created history with more than 100 spot bookings between 15th -17th June, 2018. In these three days, the expo received more than 1000 walk-ins out of which almost 700 are first time or unique visitors. One of the biggest attraction of the event was Home Exchange and Resale Assistance Plan. A first-of-its-kind initiative introduced by any developer in India for homeowners looking to upgrade their home for a new one. Especially such a focused standalone approach under one umbrella when it comes to home exchange/upgradation plan. “Selling an existing property can not only be cumbersome but time consuming too. We are thrilled that we have been able to add an extra dimension to the entire customer experience where they are not just buying a new home but are assured of guidance and support through the entire process of exchanging their existing asset. The fact that we had certified property valuators present at the venue provided a layer of relief to our customers as the information they needed, their “buying power” was known instantaneously. It was heartening to see the customer turnover at the event, clearly indicating a positive home buyer sentiment and promising days ahead for the real estate industry.” said Mr Anand Narayanan. Through this initiative, Puravankara has also reached out to several first time home buyers, NRI communities and investors to promote their affordable and luxury homes -ready-to-move-in, ongoing and newly launched projects. More than half of the customers who visited the Home Exchange Program have shown interest in the various projects through enquiries and site visits. This encouraging response has prompted us to extend the fest with the launch of – The BIG Online Home Fest. 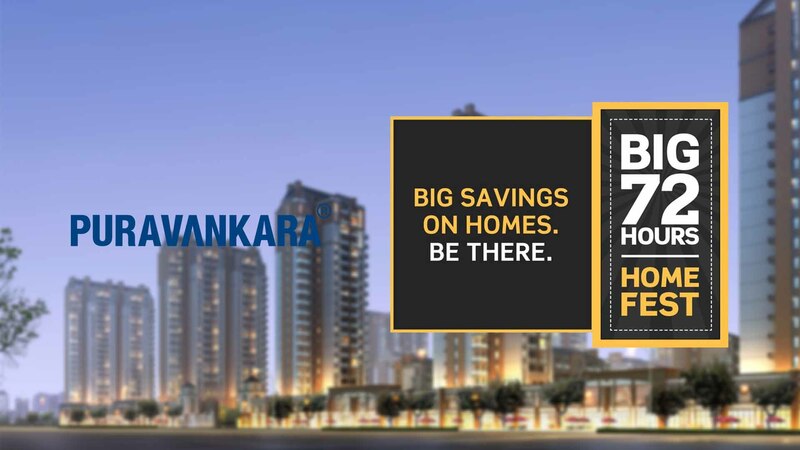 Home buyers can visit the Puravankara website between the 18th and 20th of June’18 to avail a refundable coupon, entitling one to special offers and prices on various Puravankara’s properties. The offer stands valid until the 30th of June’18. Puravankara Limited is a leading real estate company in India, with presence in Bengaluru, Kochi, Chennai, Coimbatore, Mangaluru, Hyderabad, Mysore, Mumbai and Pune. The company has 36.34 million square feet of projects which are completed and delivered and 19.36 million square feet of projects which are under development. The total land assets of the company is 75 million square feet. The company is listed on the National Stock Exchange of India Limited (NSE) and the Bombay Stock Exchange (BSE).